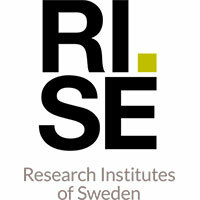 RISE Research Institutes of Sweden is Sweden’s research institute and innovation partner. In international collaboration with companies, academia and the public sector, we contribute to a competitive business community and a sustainable society. Our 2 300 employees run and support all types of innovation processes. RISE is an independent state-owned research institute offering unique expertise and 100 test and demonstration environments for future-proof technologies, products and services.